Digital credential pioneer Credly announced today a partnership with Digitalme, a City & Guilds Group business, to expand the use of digital credentials to recognize skills and talents in the EU. The partnership reflects an evolution in the way achievement is recorded online, empowering individuals to advocate and differentiate themselves with verified, digital evidence – while enabling organizations to find individuals with the right skills to meet their business needs. The collaboration further expands Credly’s international operations and enhances the technology underpinning the Digitalme platform. As part of this international expansion, Credly has built a dedicated European-based data center which extends its infrastructure to support Digitalme operations and help organizations based in Europe to comply with EU data privacy requirements. The ability to digitally frame, capture and verify skills and competencies has become critical as employers seek more trusted, granular insights to inform hiring and talent development strategies. Digital credentials provide an agile, responsive, trackable and cost-effective way to do this. They also give individuals, employers, educators and professional associations a common, standards-based approach to verify skills and achievements through data-rich, evidence-based digital badges. Using the globally recognized open badge standard allows individuals to build a single profile of their credentials, no matter where they are issued from and when. Under the new partnership, Digitalme will work directly with organisations who enable skills development to help design and implement achievement and recognition systems. This will range from internal workforce development solutions to transnational standards for specific job roles and industry associations. The Credly and Digitalme collaboration follows last year’s acquisition by the City & Guilds Group of Digitalme, as well as an investment in Credly as part of its New Venture Fund. This places the City & Guilds Group at the forefront of the international digital credentialing movement. One of the first to deploy digital credentials as a result of this collaboration in Europe is City & Guilds Group business, ILM. ILM is the largest leadership and management awarding organisation in the UK. It assesses and awards employer-recognised qualifications and accreditations to thousands of leaders and apprentices each year. Its new credentialing program includes the retroactive issuing of digital credentials to individuals holding up-to-date paper-based certificates. It is also introducing the live issuing of badging across several new apprenticeship programs. Organisations already working with Digitalme in issuing digital credentials, include: hundreds of Schools and Colleges; World Chefs; O2; Siemens; Coventry University; the BBC; ILM; JISC and the NHS. The City & Guilds Group’s purpose is to help people, organisations and economies develop their skills for growth. Backed by a Royal Charter, the City & Guilds Group has more than 135 years’ experience in making sure that people are prepared to contribute to successful businesses and thriving economies. The City & Guilds Group partners with more than 200 companies to develop the skilled workforces that they need, and invests in learning technologies to help people learn whenever and wherever they can. ILM helps individuals, education providers and businesses improve the standards of leadership and management through qualifications and accredited training. ILM awards qualifications to over 95,000 managers across the world every year. Kineo is a global workplace learning company. It offers a fresh approach to elearning management systems and managed learning services. The Oxford Group provides bespoke management training, leadership development and executive coaching to the world's leading companies. 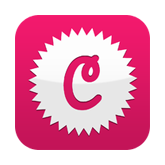 Digitalme designs credentials, using open badges, to recognise individuals’ skills and talent. It works with employers, training providers and over 2,000 schools across the UK. e3Learning specialises in online workforce management and elearning. About Credly Credly is a leading digital credential service provider, helping the world recognise lifelong achievement with the most popular platforms for verifying, sharing and managing digital credentials and badges. The enterprise-class system allows organisations to officially verify skills and competencies; distribute portable and secure digital credentials and open badges; and gain actionable data and insights. Thousands of education institutions, industry associations, employers and workforce development programs use Credly to make achievements visible. For more information about Credly, please visit http://www.Credly.com.